I made this delicious blueberry sauce to accompany a pound cake. I served it to family on Father’s Day and they loved it. It’s quick, easy, delicious and versatile. You can use it over pound cake, angel food cake, ice cream, pancakes, waffles or as a filling for crepes. You are only limited by your imagination. 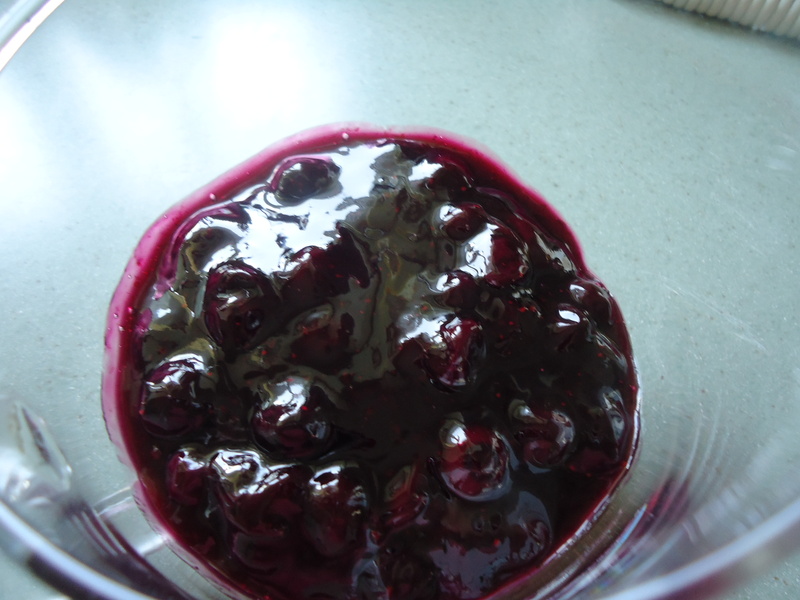 You can use either fresh or frozen blueberries. We went blueberry picking last month and I used those that I had frozen from that outing. Don’t thaw them before using. Just put them in the saucepan with the other ingredients. In a saucepan, combine the blueberries, sugar, 2 tablespoons water and lemon juice; cook and stir over medium heat until sugar is dissolved. Combine cornstarch and remaining water until smooth and cornstarch is dissolved. Stir into berry mixture. Bring to a boil; cook and stir for 1 – 2 minutes or until thickened. Refrigerate until chilled.